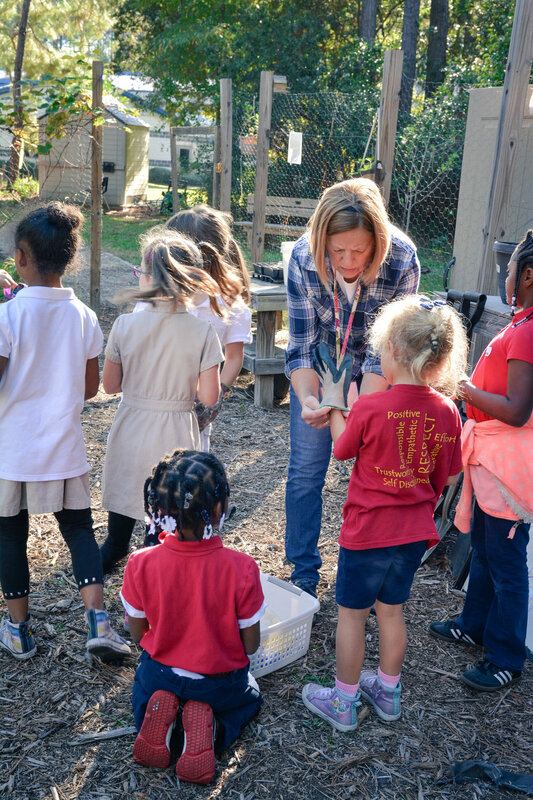 We are thrilled that approximately 35 of our members are getting outside to reconnect with nature through the BGC Garden Club. 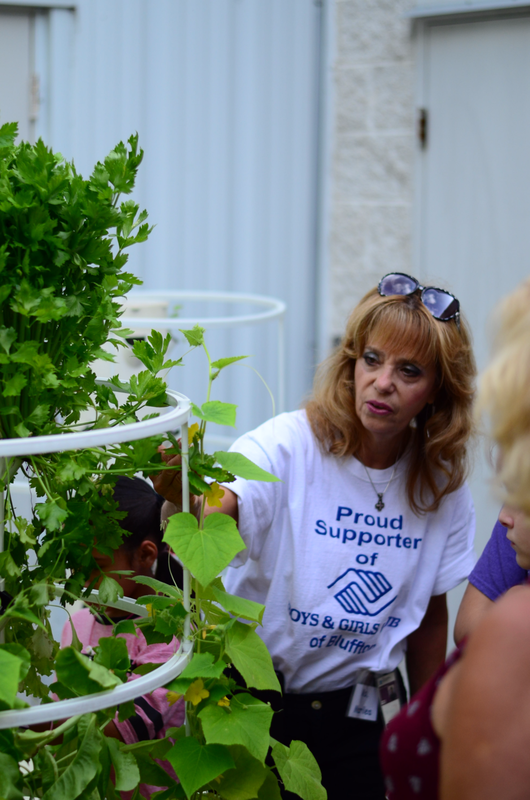 There are two Garden Club Projects at the Boys & Girls Club of Bluffton. The first is a conventional raised bed garden where members plant fruits, vegetables, herbs and flowers. Many of the plants start from seeds. Members are involved in all aspects of the garden from deciding what to plant, the care during the growing season and the harvesting. All during this process, members are educated on the fundamentals of gardening, environmental stewardship and healthy eating. The second project is a hydroponic Tower Garden donated by the Juice Plus company. It is a vertical plastic tower holding plants in pods with a reservoir at the base containing water and liquid fertilizer. The water is pumped up the tower and cascades down watering the plant roots. We have three towers in total--one tower is indoors and grows plants in the winter time using electricity for special artificial grow lights and pumping the water. The other two towers are outside and are using solar power to pump the water while in the sunshine. With all this freshly grown produce, members learn the importance of growing their own food, as well as the importance of healthy eating. Members are encouraged to work on their gardening skills and to continue to lead healthy lifestyles into adulthood. On Thursdays in the summer, if they have enough product, Garden Club members take what they've grown to the Bluffton Farmer's Market. All funds raised through the sale of their produce goes back into the Garden Club. Special thanks to our amazing Garden Club volunteers: Jim Lorenz, Marilea & Brad Lightner, Janet Benway, Keith Gasner, Malinda Blackshaw and Nancy Bryant. Lowe's in Bluffton was kind enough to donate TONS of seeds to our Club! So, the Boys & Girls Club of Bluffton is challenging our Club members and their parents to grow their own flowers and vegetables! Download an order form below and the Garden Club will package seed for you to pick up at the Boys & Girls Club of Bluffton. Be sure to track your gardening methods and take photos to win a prize for our Best Plant Contest!